Join film-maker Tomisin Adepeju for a screening of his award winning shorts, The Good Son (2015), Marianne (2016) and his anticipated new work, Appreciation (2018). Award-winning film-maker, Adeyemi Michael will also be screening his lauded short film, Entitled (2018). The screening will be followed by a conversation with the film-makers and some special guests which are to be announced. Book Tickets HERE. 1854 Media, publisher of British Journal of Photography , together with Magnum Photos, have announced the destinations of the PORTRAIT OF HUMANITY global tour. The 50 winning Portrait of Humanity images will be exhibited in galleries, museums and international photography festivals around the world, from September 2019 to January 2020. Competition entry closes 9th January 2019. A fresh new voice comes to the West End in the form of Natasha Gordon’s debut play Nine Night. A huge wall has been broken down as this is the first production by a black female to grace the West End stage, empowering but should the industry not be shamed by this. 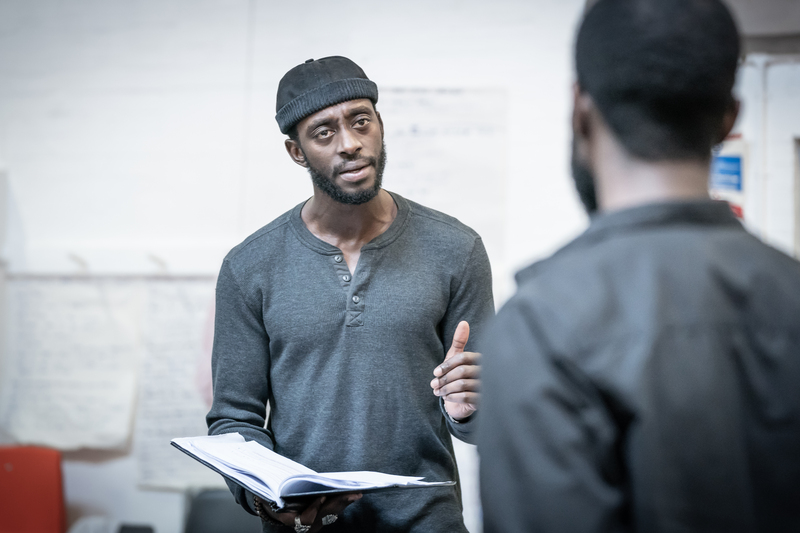 Gordon’s play explores an aspect of Caribbean culture that many may not be aware of including the younger generation of British Caribbean families. Read More. Rele Gallery is proud to present “She Was Not Dreaming” by Marcellina Akpojotor – a generational story of timeless ambition and the living legacies of one woman who saw into the future. As his beautiful entitled book“GOING TO THE MOUNTAIN: Life Lessons from my Grandfather, Nelson Mandela”hit the book stalls, Alt A managed to get an exclusive interview with the grandson of Nelson Mandela. Ndaba Mandela, who was raised by Mandela on his release from prison, talks about growing up with the remarkable might of his grandfather’s love, the political warrior who brought down Apartheid in South Africa. “I realised he was my grandfather when we met him at Victor Verster Prison just before he was released in 1990 as my parents told me we were going to visit our grandfather in jail”. Read more. Gambian Chef Lawrence Gomez opens his new eatery. Coming soon a page for YOU the best skincare and products. Sustainable brands that respect the earth and the people who work for them. Nutritious as well as replenishing, premium grade luxurious creamy organic unrefined Organic Shea butter superbly moisturising and healing for the skin, rich in Oleic, Stearic and Linoleic acids that help protect, nourish and keep the skin beautifully soft and moisturised. Rich in essential vitamins A, E and F. Vitamin F protects the skin, particularly from the sun’s harmful UV rays. It helps promote youthful skin, reduce fine lines and dryness. Vitamins A and E help maintain overall health of the skin and hair working to maintain blemish free skin. With its cleansing abilities, it penetrates the pores and expels clogged dirt and oil accumulation allowing the skin to breathe. Shea Butter benefits also include wound-healing (anti-bacterial) properties to heal skin problems in a healthy, soothing way.